One thing I absolutely love about blogging is that it's my blog and I can blog if I want to, or not if I don't want to, as it often is around here. Today I'm joining in my favorite link up with my friend Emily Freeman from Chatting at the Sky. She invites readers to share what they have learned each month, it's fascinating and fun. 1. Birthday candles and Army guys do not melt in our dryer. Whew. 2. I miss Twitter when it was truly 140 characters. Now it's full of links and rabbit trails. 3. Bread and cream cheese both mold faster in Colorado than they did in Virginia. Weird. 4. People in Colorado run A LOT of red lights. More than I have seen anywhere ever. Even NYC. 5. When you get together with people for dinner in Colorado they start cooking when you arrive. It has happened at least 4 times since we moved here, so don't show up starving. 6. Traveling to Michigan in February can be relaxing. Tipping the bellman is fun when he's your husband! The view from our room was so peaceful. My girls with my brother. My cousin, the beautiful bride. I learned a few new things in September. I am adverse to most change; however, I have already found two things I like about the new iOS 7. The first is the new calendar. I am so greatly relieved that they finally improved the calendar. The second thing, which I find very handy, is when I swipe up from the bottom of the screen I can access a flashlight, stopwatch and calculator toot suite. There are several other handy options with that swipe, but those are my favs. The bottom crisper drawer of our refrigerator was dead to me until this month. I would put things in there and remember a month later the bag of apples or Costco sized spinach. The drawer just above it got regular use but for some reason that bottom drawer was always forgotten. UNTIL I started putting the beer in there. Problem solved. A quick swish in a cup of rubbing alcohol and your make-up brushes are clean as a whistle. I actually learned that last year but it was so helpful I wanted you to know this trick too. The Jimmy Fallon lip sync-off made me laugh so hard I snorted. A few times. I'm linking up with Emily Freeman and her community at Chatting at the Sky where she is sharing what she learned and one involves how we have been using the restaurant ketchup cups wrong. Did you learn anything new in September? Today we are looking forward to Tasha and the babies moving to Colorado so these crazy cousins can grow up together. 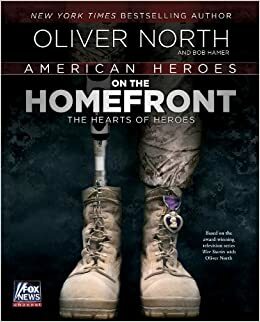 We are also looking forward to the release of Oliver North's new book on November 5. Nick's wife contributed their story to the book. One of the desires of my heart after Nick was killed was that others would know our hero. And now many will. Our God is so good, he knows the desires of our heart and he loves us. You can pre-order the book on Amazon and receive it on the day it releases with pre-order price guarantee. Below is a re-post of something I wrote last year on this day. I was 11 the year you were born and I couldn't wait to meet my baby cousin. You guys came down to stay with us over 4th of July and you were so tiny we pulled a drawer out of the dresser to make you a crib. When you joined the Marines we were so proud, you were tough and we knew it. 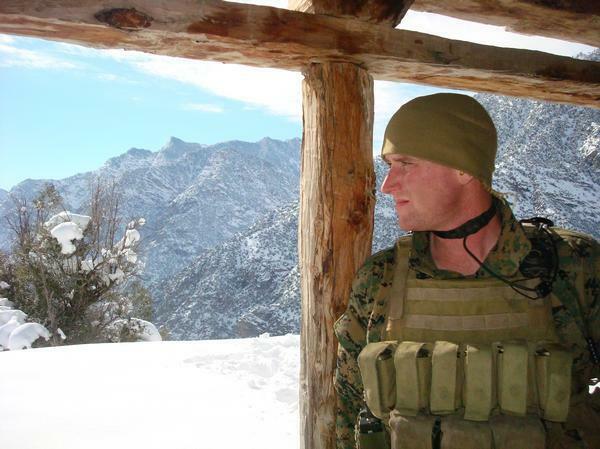 I liked having someone in our own family fighting for our freedom and protection. As the deployments came and went and through the multiple cross country moves and the schools and the training and the advancements to your career, the important things stayed the same. You were tough but you had the sweetest soul. So easy to know and love. You cared about relationships and people. When you met and married Tasha we were thrilled all that love was being poured into another sweet soul. She is strong and bright and full of grace and she understands Sprovtsoff love. The night of my 40th birthday we found out you weren't coming home. The phone rang just before 2 a.m. and I sat straight up in bed. I heard my brother’s voice break and I knew something was coming, but not this. 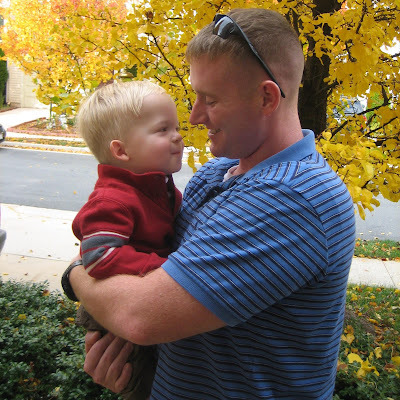 This was your fifth deployment and no matter how dangerous the mission, you always came home. Afghanistan seemed so far away, but there we were just 8 days later gathered at Arlington National Cemetery. Tasha with her belly round and full of life, a baby boy coming soon. It came as no surprise when I learned at your funeral you took the Iron Man Award at the Basic Reconnaissance Course. Of course, you did. You were tough. And learning that the Bronze Star with "V" Device you earned in Afghanistan in 2007 should have been a Silver Star except for an administrative error, again no surprise for a valiant warrior. Seasoned, mature, physically fit. MARSOC Marine. I still have your cell phone number in my speed dial and the matching dresses the girls wore to your funeral still hang in their closet. It's been a year today, maybe it's time to let those go. October 2009, we all met at my Dad's while Nick was at EOD school. Thank you for your service, Nick. But most of all thank you for loving us well. I'm glad we don't have to let that go. Reading blogs for the last 5 years paid another round of dividends when I had my first anxiety attack last month. After the second one in a week I knew what it was and stopped thinking I was near death. Other bloggers sharing their story helped me recognize anxiety. Whew. Crisis averted. I would rather be strong than skinny. Right now I am neither, but I am working on it. When your 5 year old says she is ready to get rid of the Polly Pockets do not stop to do anything else. Immediately go to the charity bin, the dumpster, the side of a cliff, or anywhere you can to rid these from your home. I did not do this. I regret it. I find spraying bird poop off our flagstone patio to be quite soothing. I do this almost every evening. Making room for friend time is necessary. Going to the beach with Gussy Sews is a delight. What did you learn in June? Are you enjoying your summer? Emily at Chatting at the Sky has 9 things to share from her June. We did it! We moved from Virginia to Colorado the week before Christmas! There are lots of stories and details and blessings that came from this cross country adventure. We are so happy to be in our new home. And even happier that our neighbors have such an awesome Christmas light display. Having neighbors like this was a huge selling point! Raising our kids in Colorado has been our dream for many years. What dreams are you chasing down in 2013? Cash Back For Shopping Online!